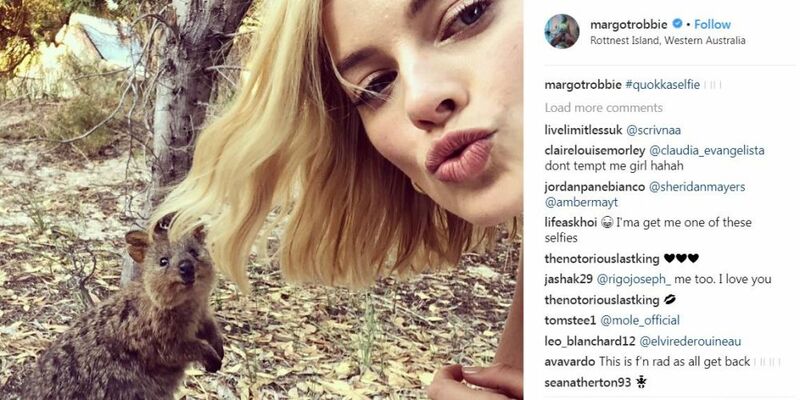 HOLLYWOOD star Margot Robbie is giving tennis legend Roger Federer a thrashing in the selfie stakes. Robbie, who was nominated for an Academy Award recently for her portrayal of disgraced figure skater Tonya Harding in the film I, Tonya, posted the picture of herself and a quokka on Rottnest on Monday afternoon. In an hour the post had garnered 415,830 likes. Federer tweeted a photo of himself with a quokka when he was in town for the Hopman Cup in January, and to date that post has netted 541,000 likes. Robbie, with 14.1 million followers looks on track to eclipse that figure in a little more than an hour. Premier Mark McGowan was quick to express his gratitude for the tourism plug.